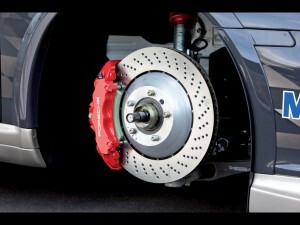 One of the most used yet commonly neglected parts of any car is the brakes. There are a variety of different components that have to work together in order for a car to stop properly, and if one of those components malfunction or get damaged, then the whole operation can be thrown out of whack. As soon as a problem is noticed with the braking system of a car, the owner needs to take it in to a professional for immediate service. Here are a few of the most common brake issues in which Brake Repair in Lake Stevens should be facilitated quickly. Hands down one of the most common brake repairs that a vehicle owner will encounter is in regards to their brake pads. Over time, the carbon that composes the brake pads will begin to show signs of wear due to repeated use. Every time that a driver applies their brakes, the pads rub against the rotors, which causes the car to stop and for the pads to lose a bit of the carbon on them. When the pads are worn out, the driver will start to hear a squealing noise and will start to feel a shaking when they start to apply the brakes. As soon as this is noticed, the vehicle owner needs to get to a shop immediately to restore the functionality of their brakes before further damage to the rotors occurs. The brake rotors of a vehicle are another vital component of a braking system that will wear out over time. When the brakes are applied, the pad push down on the rotors, which is what brings the car to a stop. The constant pressure that gets put on the rotors is enough to start to dig little ridges in to them. These ridges will start to affect the overall drivability of the car by causing it to shake once the brakes are applied. The only way to fix this problem is by having a shop to turn the ridges out of the rotors, which will eliminate the shaking problem, or replace the rotors completely if needed. At Conaway Motors, we can provide top notch Brake Repair in Lake Stevens at competitive prices. Be sure to call us at (425) 905-2424 to schedule an appointment.